In AccuBoost newsletter 39, the CEO of AccuBoost, Piran Sioshansi, focuses on the future of radiation oncology in rural areas. Upcoming Events: AccuBoost will be at the annual 2019 ACRO Meeting in March 7-9 in Orlando, FL and ESTRO 38 in April 26-30 in Milan, Italy. 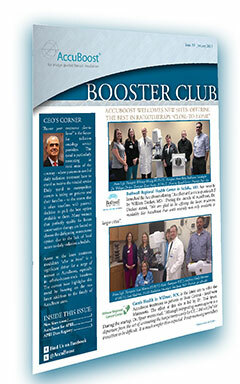 Set up a time to meet with the AccuBoost to learn more about our cutting edge adaptive breast cancer treatment.